If mildew is a familiar household nuisance and you’re tired of tackling it alone, it’s time for The Grout Medic to step in! Our tile cleaning service can help you restore luster to your tile surfaces and keep them sparkling for years to come. At The Grout Medic, we have years of experience cleaning, repairing, and sealing tile surfaces of all kinds! Let us get to work for you. At The Grout Medic, we have years of experience and the latest technology at our fingertips. 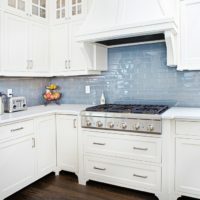 Using our state-of-the-art equipment, we’re able to give tiles a thorough steam-cleaning that would be difficult or impossible for the average homeowner to replicate. Best of all, our customers don’t need to worry about harmful chemicals being left behind by our technicians! A dirty tile surface can be an eyesore, but it can also be a health hazard. Mold and mildew flourish in and under tile surfaces because porous grout makes an excellent home that’s difficult to disturb. Not only can our tile cleaning service remove dirt and stains, it can also kill bacteria and germs that live in porous grout, making your home safer and cleaner for your family. If your tile surface needs a little more attention than a thorough steam cleaning, we can help with that, too! At The Grout Medic, water damage repair is another one of our specialties. Water damage can come in many forms, but oftentimes we see it when water from a shower or bathtub leaks behind improperly caulked surfaces. Not only can this damage tiles by loosening them from behind, it can also create dangerous health hazards like mold and mildew. In addition to our standard tile cleaning services, we can repair water damage beneath your tiles! We love restoring the luster to tile surfaces by providing a thorough cleaning. However, if you’re hoping to put off seeing us again for as long as possible, we offer a number of services that can help protect your tiles and prolong the results of our tile cleaning service. For instance, our sealing service allows us to seal off grout, reducing its porous surface so that it’s harder for dirt and bacteria to make their way in and easier for you to clean it on your own. If you’re looking for a way to enjoy fresh-looking tile surfaces for longer, we highly recommend our sealing service! Along these lines, we can also help you to recaulk your bathroom, ensuring that the flexible rubber seal is tight and effective. This is a great way to protect against water damage that can cause harm to your home and tile surfaces. Additionally, fresh caulk looks clean and fresh and can improve the appearance of your entire bathroom! These are just a few of the ways our tile cleaning service can help to alleviate any worry of mold or mildew in your home. Contact us today to learn more about how The Grout Medic can help to care for your tile surfaces!